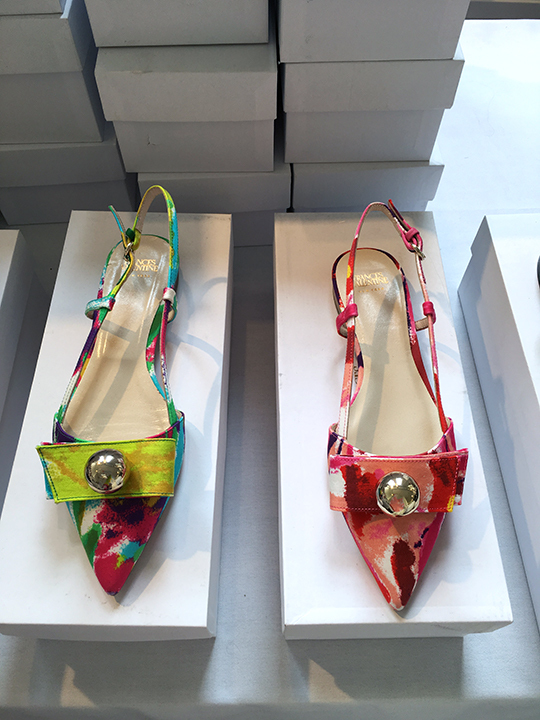 Kate Valentine, aka Kate Spade, aka the designer behind the hugely popular 90s nylon totes, has put her best foot forward back into fashion industry with her newly launched shoe brand Frances Valentine. 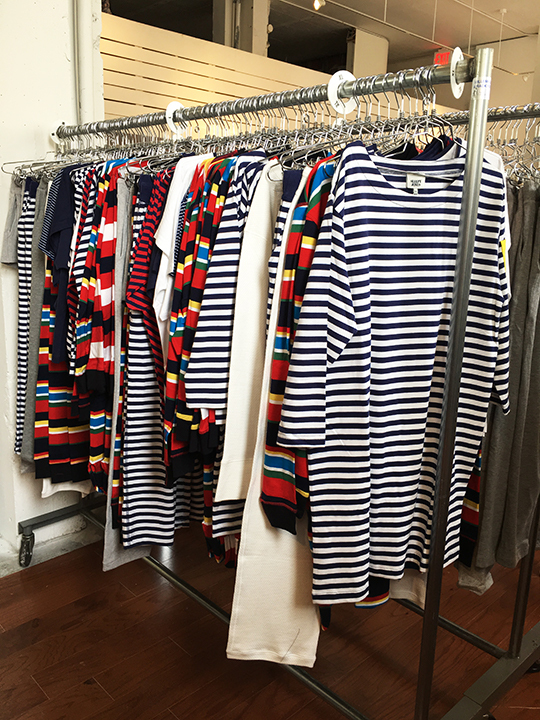 And just after six months into the new venture, the label is dipping their toes into the NYC sample sale scene with their very first bargain event which started today. 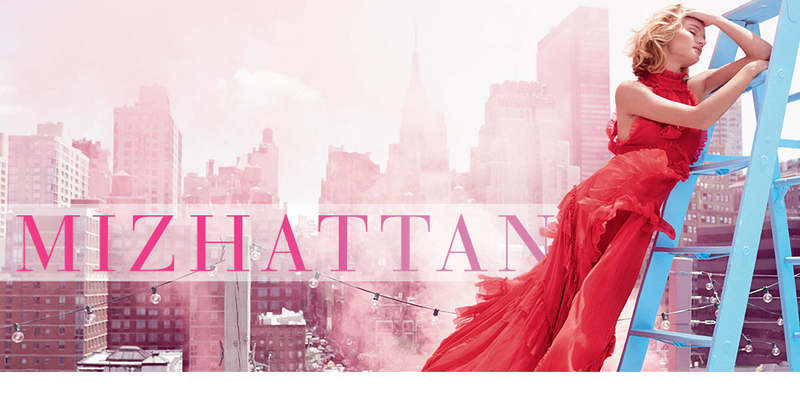 I checked out the sale late this morning and although it isn't February, I found this "Valentine's Day" more to my liking as I love shoes and bargains. So, are the markdowns as sweet as chocolates? Let's find out. The employees of Frances Valentine gave each and every shopper a cordial welcome as they entered the 77 8th Ave venue this morning. 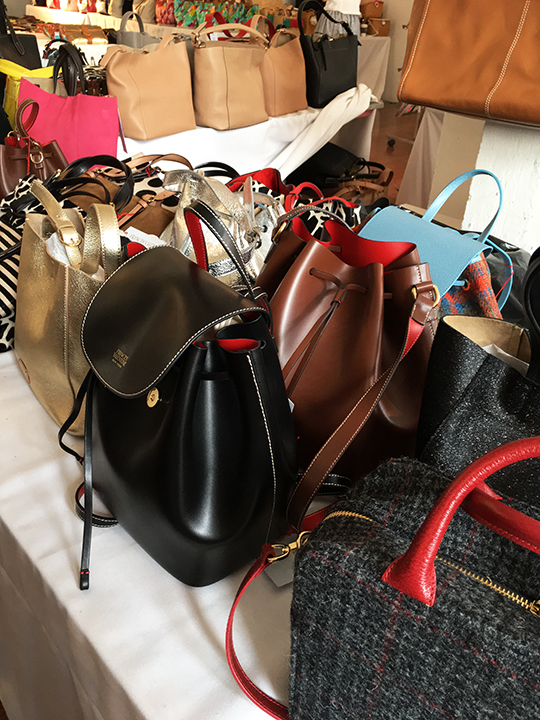 In fact, it was one of the most pleasant shopping experiences I've had at a sample sale because everyone working there--including the security guards--were so friendly and eager to help every customer. 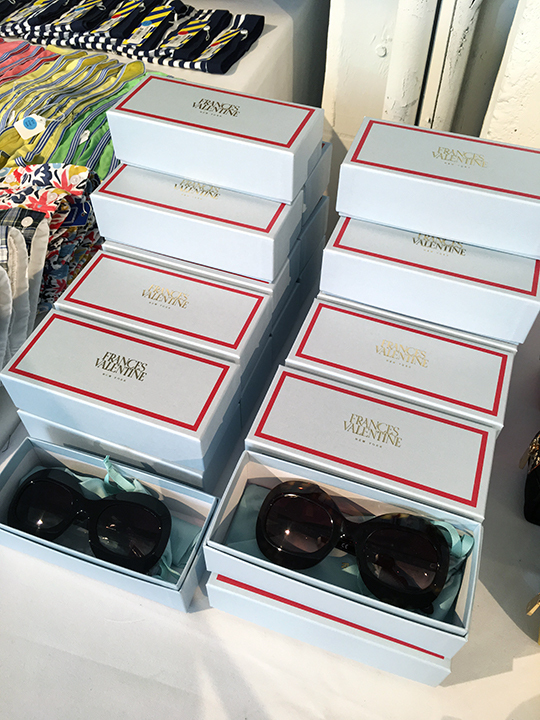 Inside the sale, I found FV's shoes, handbags, accessories, as well as discounted goods from Andy Spade's sleepwear label Sleepy Jones. 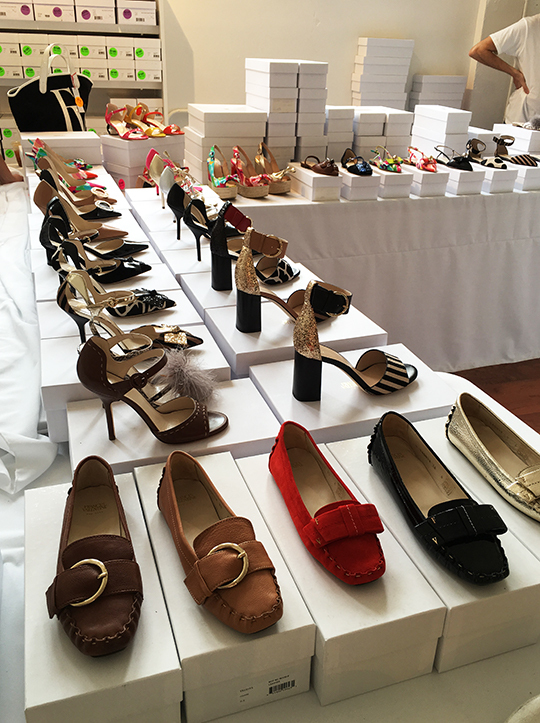 Women's footwear was divided into samples (size 7 & 9 only) and overstocks (size 5.5 to 11). 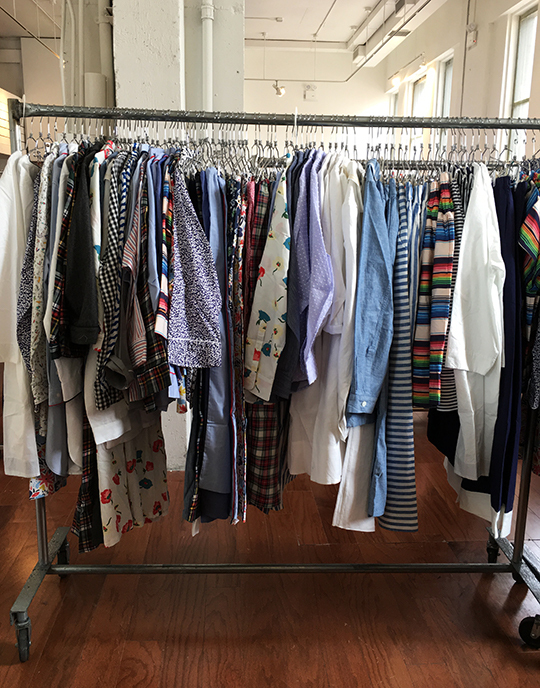 Samples were placed on racks while overstocks were displayed on tables. All merchandise was individually marked with a color sticker and price points were as follows: $50, $95, $145, $195, $225, $295, and $395. Sample shoes were $50~$395 while overstocks were $145~$395. Although samples were cheaper, it was all too easy to spot pairs that had signs of wear. 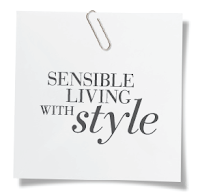 On the other hand, all of the items in the overstock section were new in box and many were from the brand's latest fall collection. 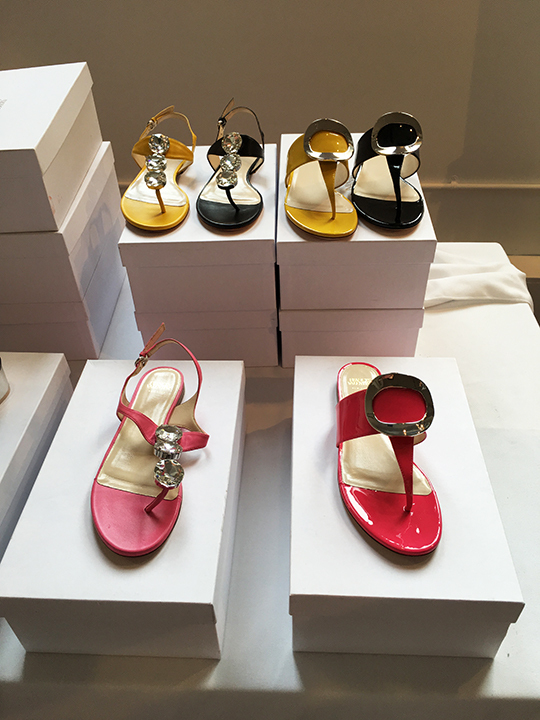 New arrivals included Milly booties, Caroline slingback flats, Beatrix sandals, Lydia flats, Valentina sandals, Pauline mules, and Dallas sneakers. 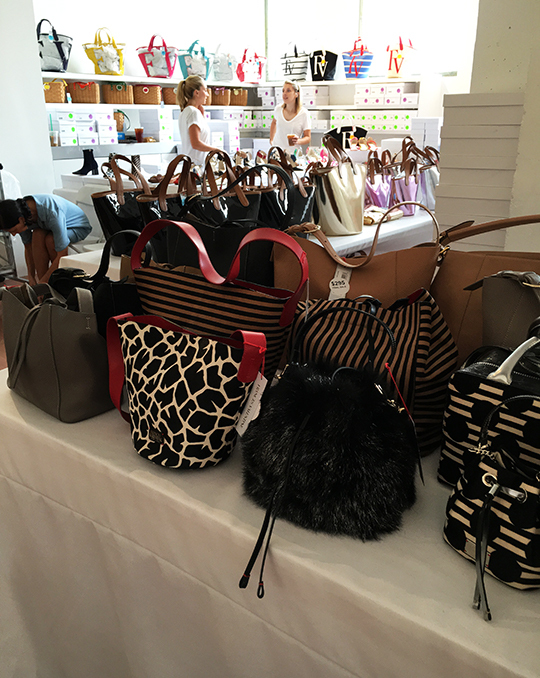 The brand's bags were comprised of inventory from last spring and new fall lines. 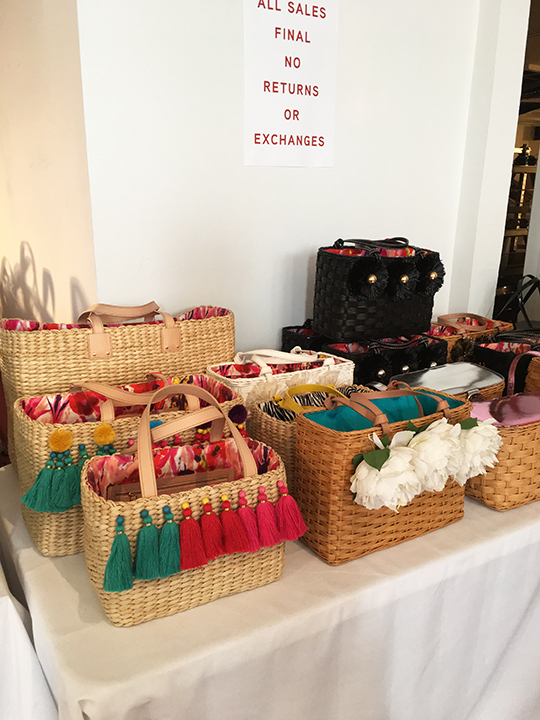 Amongst the tables, I saw logo-printed canvas totes, wicker bags, top handles, Mini Ann bucket bags, Ann backpacks, June hobos, FV striped haircalf totes, and more. 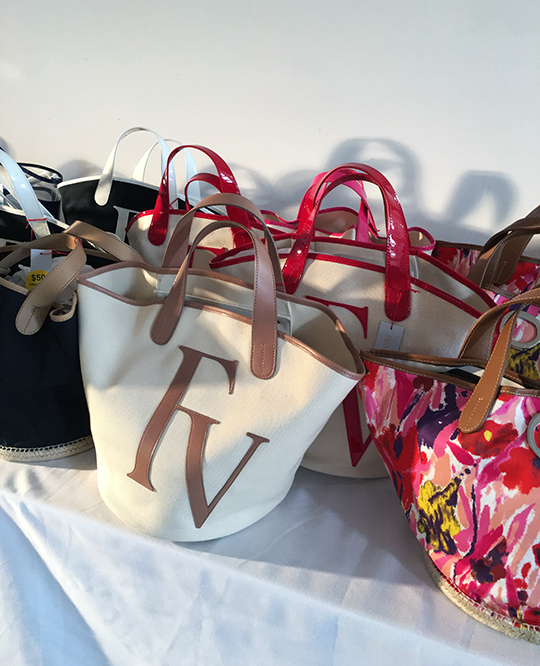 Prices on handbags started at $75 for canvas materials and went up to $295 for leather styles. 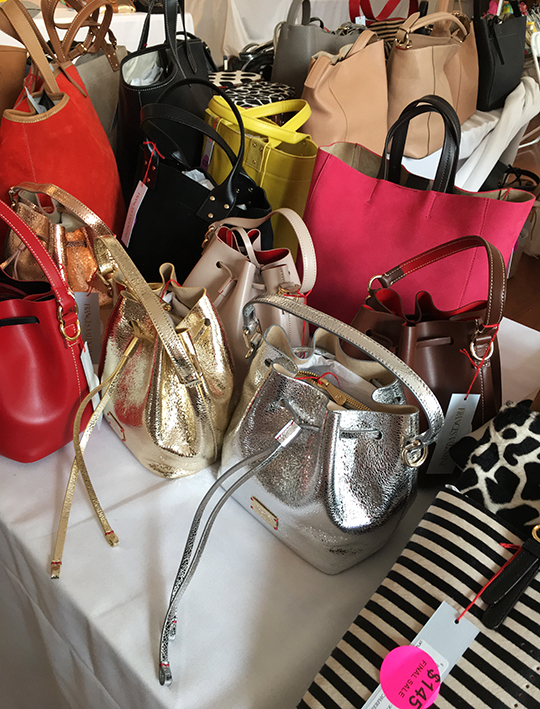 Situated near the bags was a small selection of SLGs, clutches, and sunglasses. Coin purses and wallets were $50, sunglasses were $145, and clutches were $225. Sleepy Jones' discounted merchandise was arranged on racks and set up near the entrance. Here, shoppers will find prices starting at $20 for men's boxers and pajama separates/apparel for $98 and under. 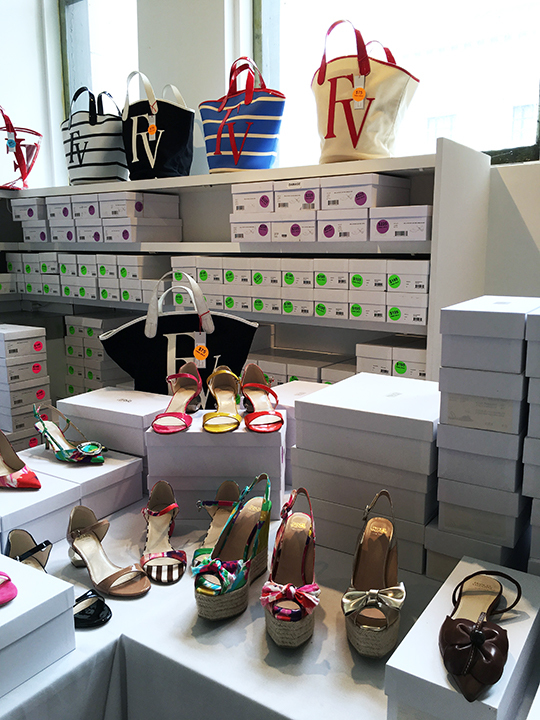 Overall, prices were not what you would exactly call bargain basement at this week's 4-day long Frances Valentine sample sale, but it really is a great shopping opportunity to get to know the brand--especially when the staff was so informative and welcoming. Plus, there were lots of new fall items in the shoe section, so it won't be a total waste of your time if you plan on stopping by. Thank you! Do you happen to remember how much the June hobos are? I'm trying to decide if a trek across town would be worth it. Thank you for reading! June hobos were $295. Hi are the shoes that are not sample dropped and what is the price? What is the percentage off on the items?